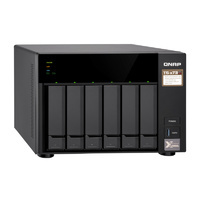 The ES1640dc is whole-new product line developed by QNAP for mission-critical tasks and intensive virtualization applications. 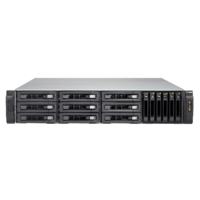 With Intel® Xeon® E5 processors, dual active controllers, ZFS, HPE Helion compatibility and fully supporting virtualization environments, the ES1640dc delivers “real business-class” cloud computing data storage. 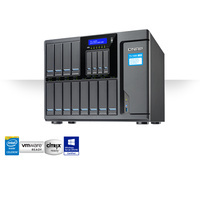 The ES1640dc features the brand-new QES operating system that allows almost limitless snapshots, block-level data deduplication, and thin provisioning with reclaim, assisting businesses in building the most cost-efficient VDI platform and storage for critical data. 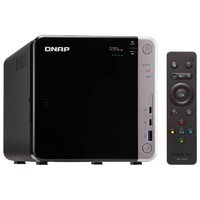 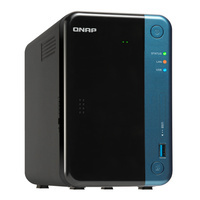 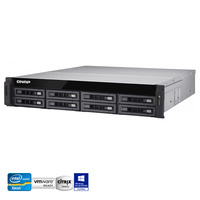 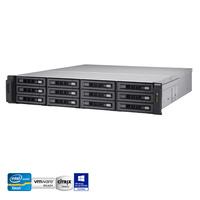 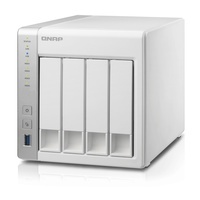 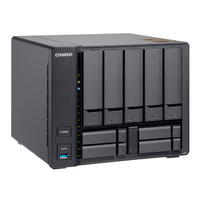 The ES1640dc provides the same user experience as the current QNAP NAS and QTS system, allowing business users to enjoy the easy learning curve and quickly deploy the system, and making it ideal for small and medium businesses with budget constraints or large-scale IT divisions coping with mission-critical tasks. 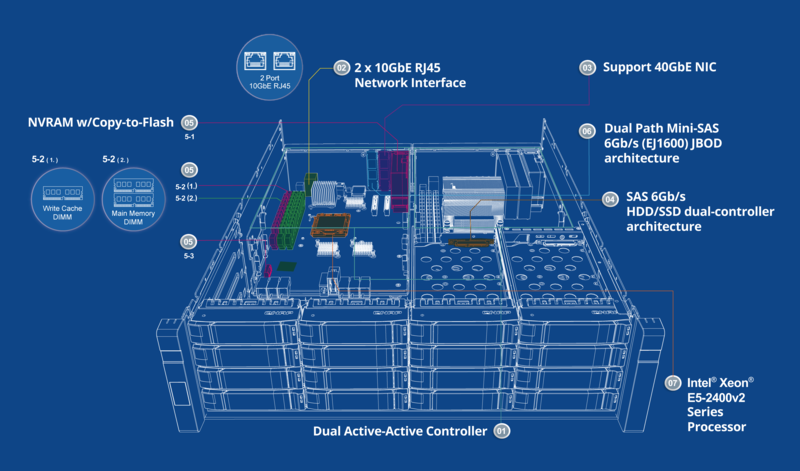 Note: QES update of supporting 40GbE Ethernet adapter will be released by mid-October 2016. 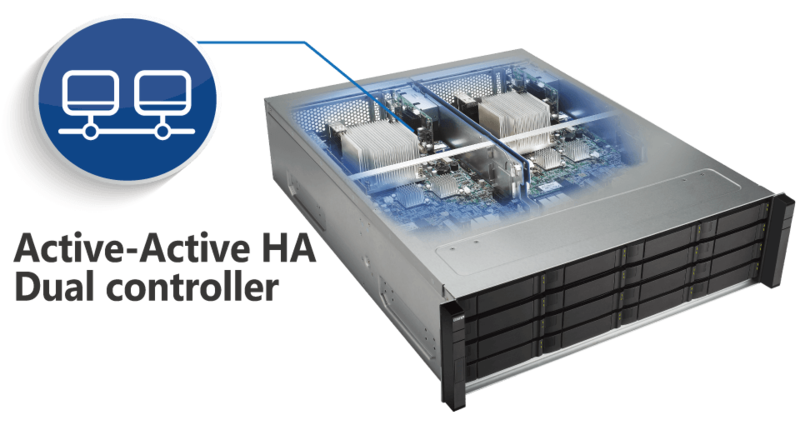 The ES1640dc is powered by two Intel® Xeon® E5-2400 v2 processors and features dual active-active controller architecture, ensuring businesses with nearly zero downtime high availability as the standby controller can quickly take over if one controller breaks down. 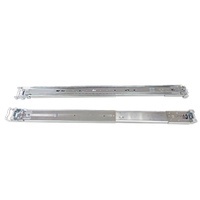 The ES1640dc connects to the JBOD enclosure (EJ1600) via the dual path mini-SAS design to sustain continuous operations even if an external JBOD cable is disconnected. 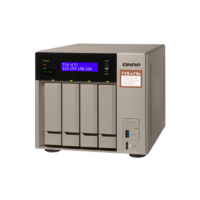 Designed around redundancy, the ES1640dc is the best realization of reliable enterprise storage for uninterrupted mission-critical enterprise tasks and productivity. 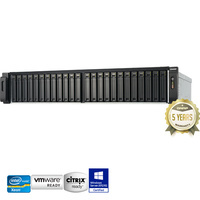 “Reliability” is the primary priority for mission critical business applications. The ES1640dc adopts dual active-active controllers to provide the most reliable base for business IT storage. 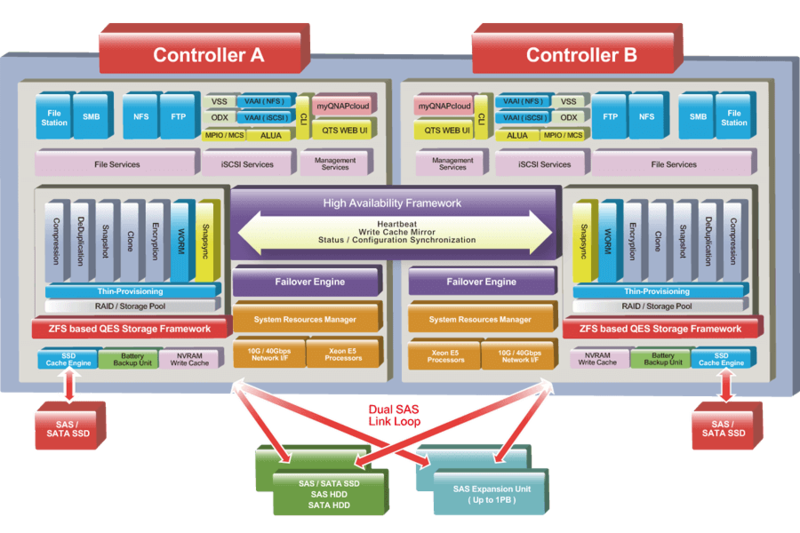 If one controller fails, the other one will immediately take over to provide high availability with the least downtime. 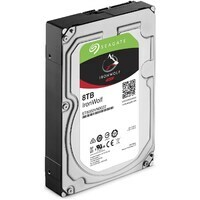 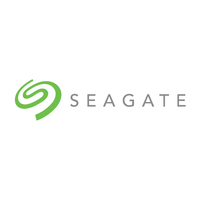 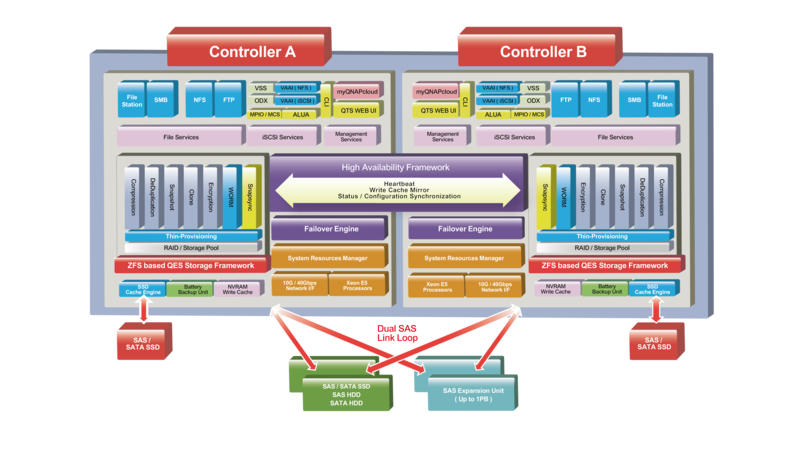 Dual-controller architecture that supports SAS 6Gb/s hard drives / SSDs, providing versatile storage choices for enterprises. 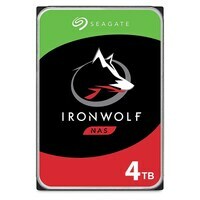 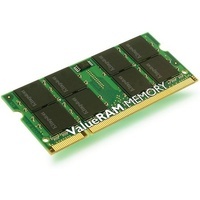 (1) NVRAM dedicated DDR3 memory modules - supports 16GB, power required by C2F is supplied by BBU. 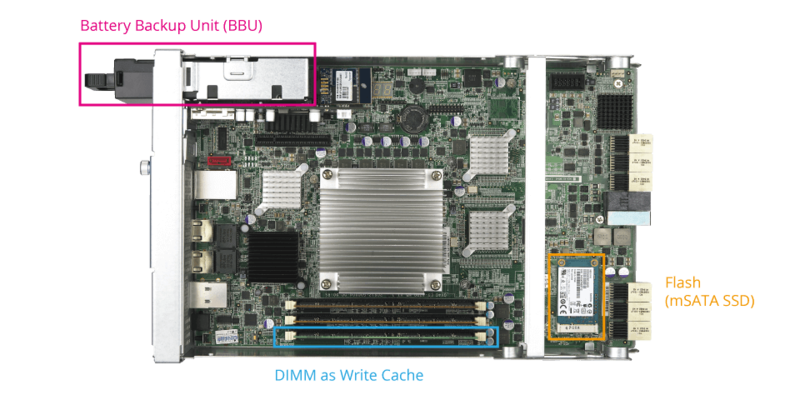 (2) Dual-channel DDR3 system main memory - each channel supports 16GB, providing up to 32GB total capacity. 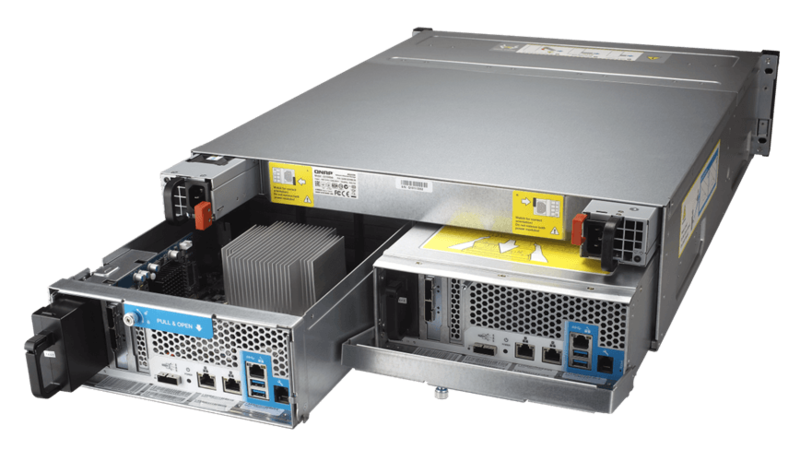 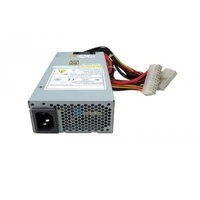 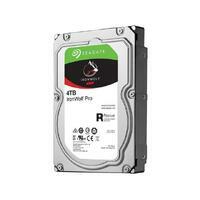 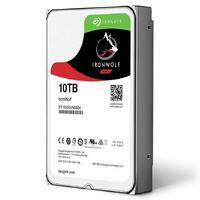 Increases the ES1640dc’s potential storage capacity to over 1 PB with expansion enclosures. 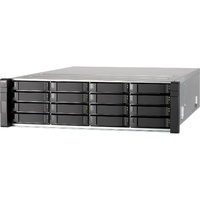 The ES1640dc features ZFS, a combined file system and logical volume manager, to support various advanced functions for high-end enterprise storage, including powerful storage expansion, flexible storage pools, simplified management, high-performance SSD cache, nearly limitless snapshots and cloning, data deduplication, in-line compression and thin provisioning with reclaim for optimized utilization for virtual machine storage. 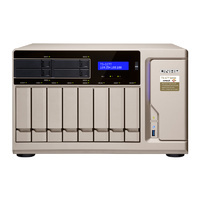 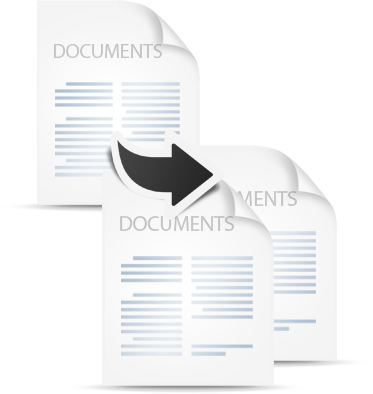 ZFS is designed with a focus on data integrity, and uses its end-to-end checksums to detect and correct silent data corruption caused by hardware defects, bugs in firmware or metadata errors, effectively protecting user’s data. 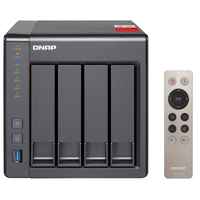 As QNAP’s first "OpenStack Ready" product line, the ES1640dc is not only suitable for virtualization and virtual desktop environments but also the best choice for cloud applications. 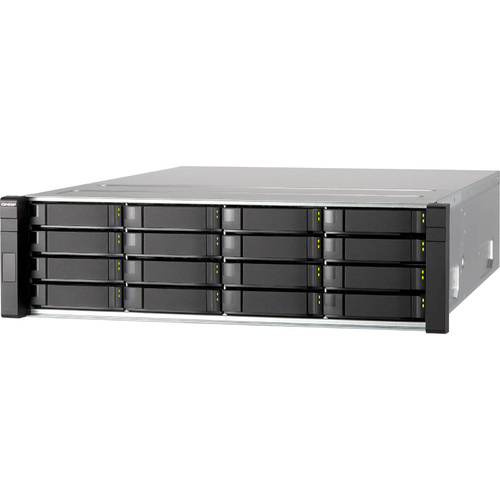 QES supports OpenStack® Cinder and iSCSI Cinder Node drivers, and provides block-level storage space to virtual machines. 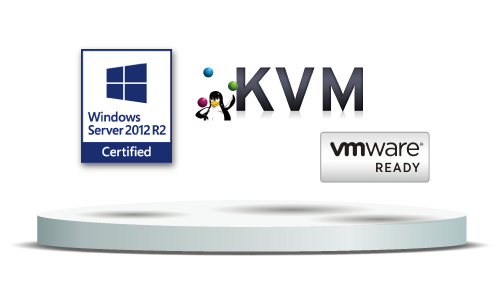 It not only accelerates the deployment of virtual machines and enhances virtual machine image access efficiency through iSCSI, but it is also easier to integrate into commercial cloud storage platforms. 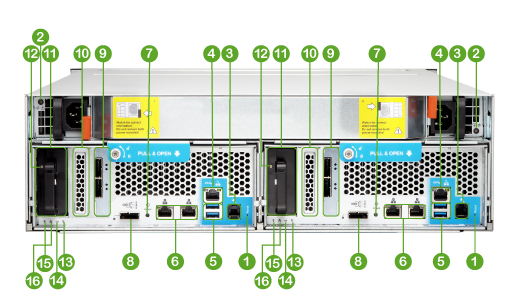 QES can be easily coupled with HPE Helion* to provide simpler and more reliable private enterprise hybrid cloud solutions, to ensure that enterprises can still enjoy uninterrupted, highly available, highly-stable services in dense virtualized environments. 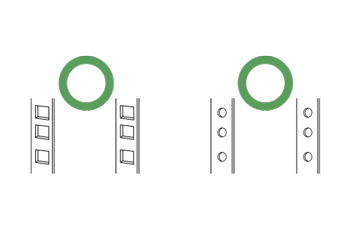 Platform9 is a cloud-based OpenStack management platform. 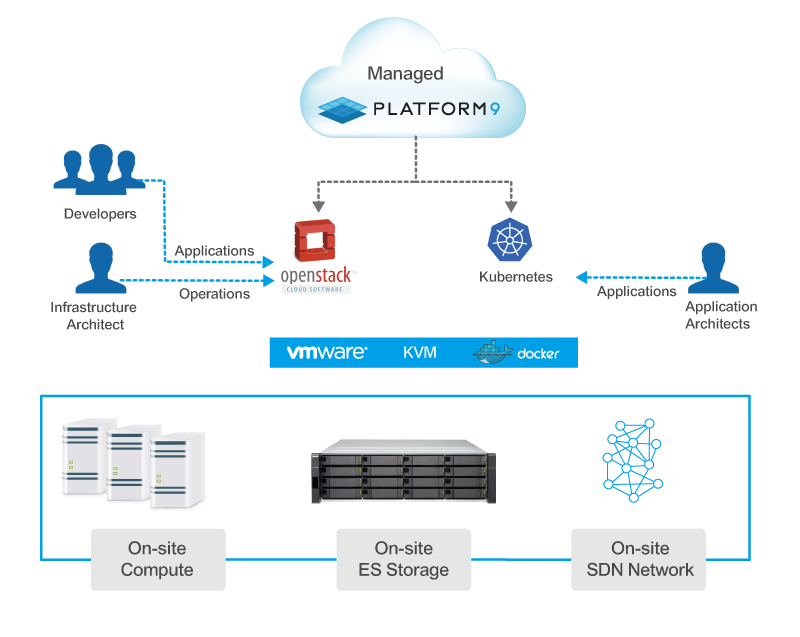 While a pure OpenStack environment can take weeks to properly deploy, with Platform9 it can be done in minutes. 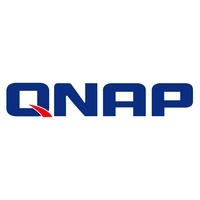 QNAP and Platform9 have joined forces to provide a powerful storage solution that is easy to deploy and easy to use for OpenStack environments. 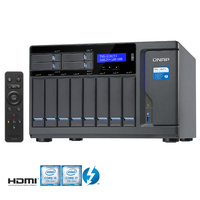 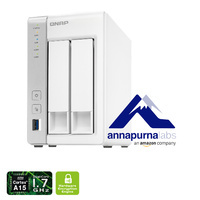 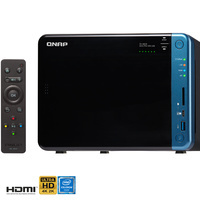 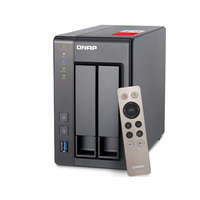 By adopting the joint QNAP ES1640dc and Platform9 solution you can deploy OpenStack in a very short time with the integrated QNAP Cinder driver (no manual installation required), attain highly-available QNAP storage for on-site data, and benefit from comprehensive functions and applications that are available on QNAP’s enterprise-grade and affordable business-class storage solutions. 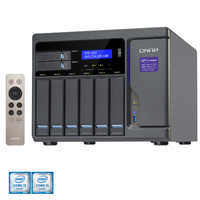 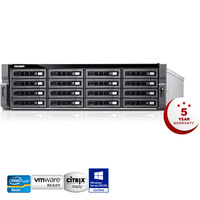 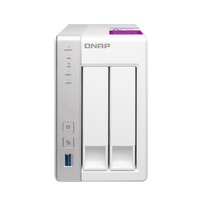 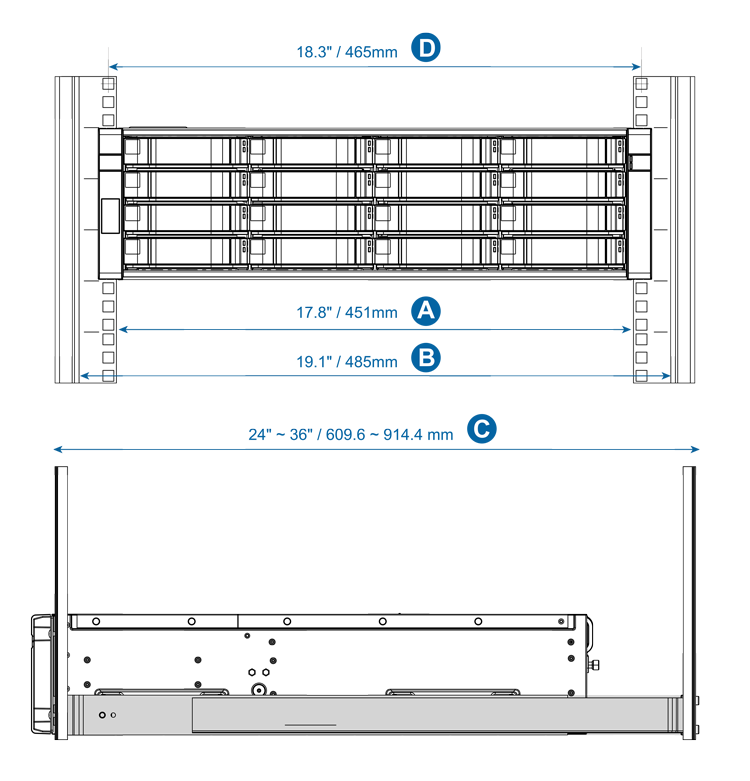 QNAP's ES1640dc offers 5 year warranty with 3-year global warranty inclusive at no extra cost. 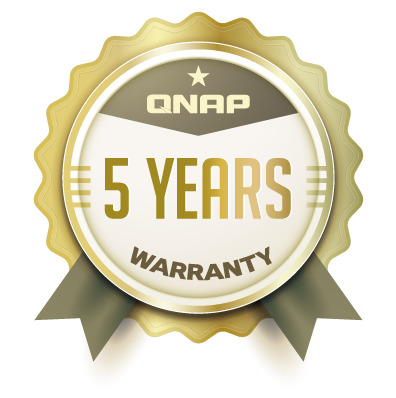 This premier warranty demonstrates QNAP’s attention to the essential business needs of continuous operations and non-interrupted services to their customers.